Hit-and-run accidents: If you are hit by a driver who flees the scene, you have the ability to seek compensation from your own insurance policy. That is why it is extremely important to make sure that you carry the proper amount of Supplementary Uninsured Motorist (SUM) insurance. DOWNLOAD this .pdf document which explains why you need proper insurance. Trike and Can-Am accidents: Riders of Can-Ams and trikes face the same challenges as bikers do, and I am prepared to offer them the same representation. Motorcyclists are more vulnerable to death as the result of collision than motorists who drive cars or trucks. I am prepared to provide counsel and support to grieving families who seek compensation for their tragic losses. Wrongful death compensation can cover funeral and burial expenses as well as replace the wages he or she would have earned over a lifetime. In some cases, such as those involving drunk drivers, the court may also award punitive damages. In addition to compensation, wrongful death lawsuits can send a powerful message that motorists need to exercise more caution — and respect the rights of motorcyclists on the road. As a Long Island motorcycle injury attorney, I handle injury cases on a contingency fee basis. Schedule a free initial consultation by contacting my office at 866-639-5567. My wife and I were referred to mike after I had fallen at work and received a few extreme injuries to my lower body which we knew was going to be life changing for us. We wanted to find the best attorney possible that would take us through this process which can be very frustrating at times. Mike was very patient with us and explained to the "T" what to expect and was always encouraging. My wife and I would highly recommend Mike to represent anyone who isn't sure or doesn't have someone who can recommend them to an honest attorney. Michael Levine made my whole law suite process fast and effortless. He really took care of me and my case. I recommend Mr. Levine to anyone hands down. Thank you again Mike for all your help. 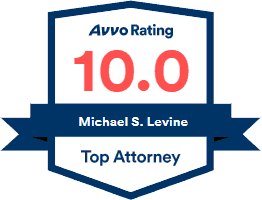 Michael Levine made my whole law suite process fast and effortless. He really took care of me and my case. I recommend Mr. Levine to anyone hands down. Thank you again Mike for all your help. Mr. Michael Levine and staff of RGLZ are truly wonderful. Great Law Firm to have represent you. The Firm has very compassionate and understanding people representing it. I was very well informed with things happening in my case. I am truly satisfied and if ever in such a position again they will be at the top of my list.